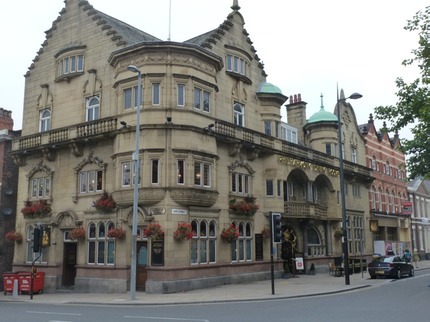 Liverpool Tavern Trails operates pre-booked guided walking tours of Liverpool’s historic pubs. The City of Liverpool lies on the banks of the River Mersey facing West towards Wales and beyond to Ireland but is just over 2 hours by fast train from London. From humble beginnings in 1207, Liverpool grew to be one of the most important ports in the world. At its height Liverpool boasted that 40% of world trade passed through its docks. The wealth created by this commerce was used to fund stunning public buildings and today it has over 2,500 listed buildings. 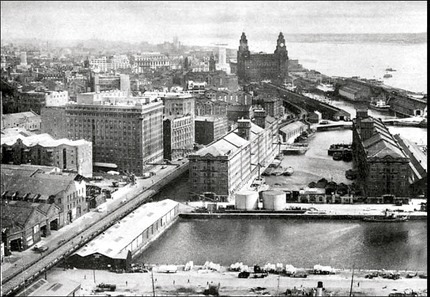 In 2004 UNESCO designated the Liverpool Maritime Mercantile City a World Heritage Site. Liverpool was the birthplace of modern popular music when the Beatles burst onto the scene in the 1960s. It was well merited when Liverpool became the European Capital of Culture in 2008. There is no better place to see that culture and the people of Liverpool than in its many pubs. We have chosen 4 fantastic pubs that are not only great places in their own right but are located in some of the most historic parts of the city. The tour lasts around 2.5 hours and covers a distance of just over 1.2 miles. Liverpool has much more to offer and has many more historic pubs. We have other private tours in our repertoire on a day & a time to suit you, and our daytime tours can include a traditional English pub lunch if you so wish. To book a tour, or for further enquiries, please contact Alan on +44 (0)7718 968812 or at : trails@liverpooltaverntrails.com .